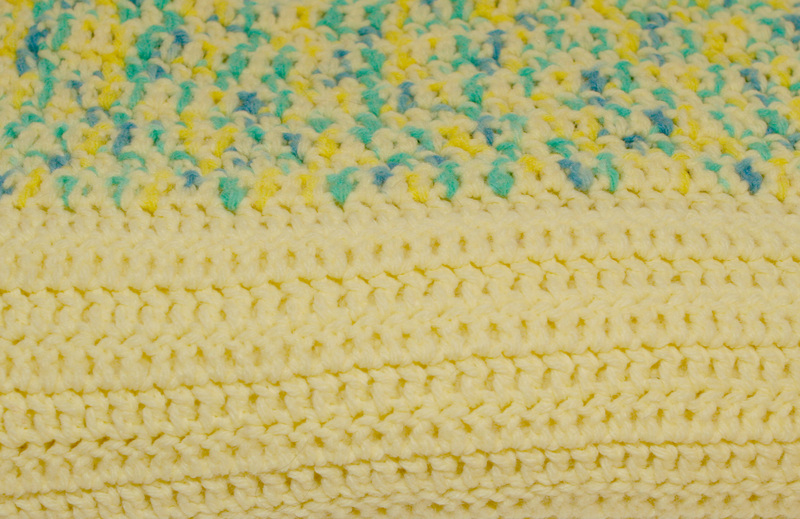 Hand-made children's blanket. 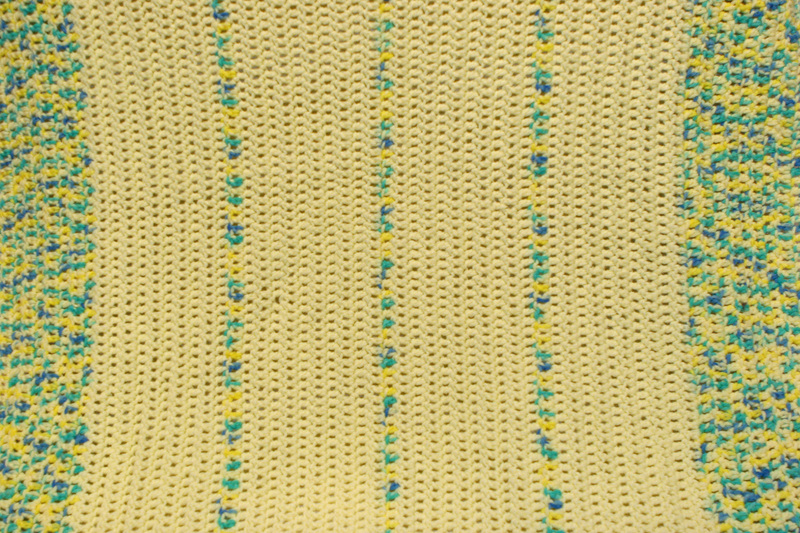 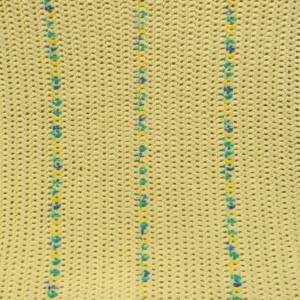 Yellow with green/blue patterned trim. 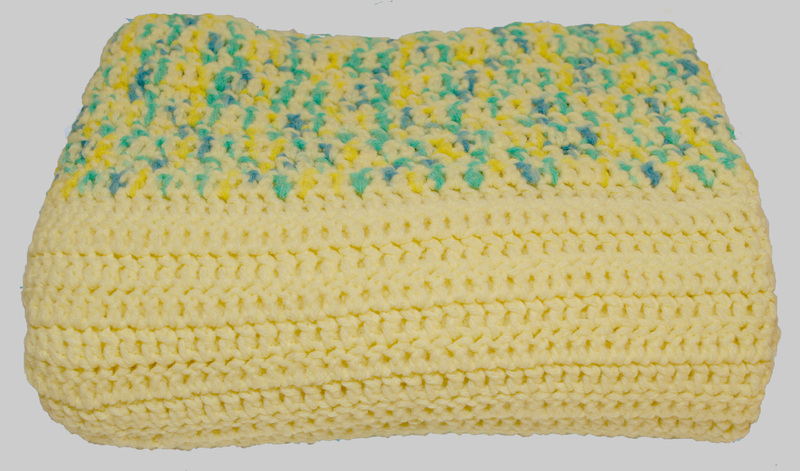 Child-size blanket/throw (50″ x 33″).